Poljud stadium tour attracts both Croatian and foreign tourists who are visiting Split, especially as the high tourist season is now approaching. An interest for the tour keeps increasing and on a daily bases, there are many visitors coming to Poljud for a tour. This guided tour has always been one of the tourist attractions of Split and it is certainly a great experience for everyone interested in football and an opportunity to learn about the rich history of our Club. 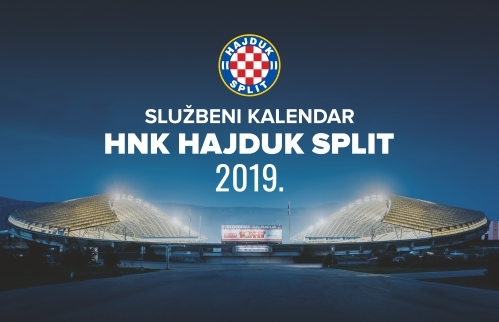 Recently, Hajduk has redecorated the Trophy halls and they are now providing more content for all Hajduk supporters from Croatia and abroad and for tourists, who find this tour one of the most interesting tours available during their stay in Split. 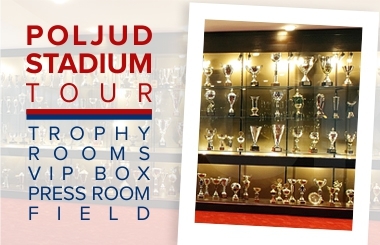 The guided tour starts at the entrance hall, where there are photos of the founders of Hajduk and many interesting newspaper articles, it continues to the Trophy halls, press room and VIP box and it ends at the main pitch, where all the visitors enjoy taking photos. Our dear visitors usually show particular interest in the Marshal Tito Cup trophy from 1991, but also in the first trophy that Hajduk won back on August 03, 1912, the oldest one in our collection and a gift of HAŠK. 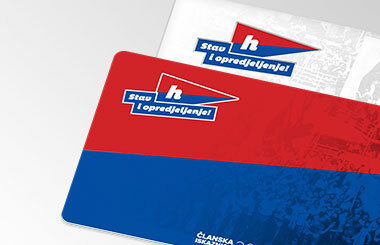 Visitors are mostly surprised by the fact that Hajduk was awarded as the Honorary team of the Free France. Many of them take photos of the original Bernard Vukas's shirt, that he was wearing while playing for the "Rest of the World" team against England. The story of the construction of Poljud is also very interesting to visitors. Foreigners are mostly fascinated by Hajduk's 6:0 victory over Manchester United back in 1980, which has remained the worst defeat of this great English club outside Great Britain. 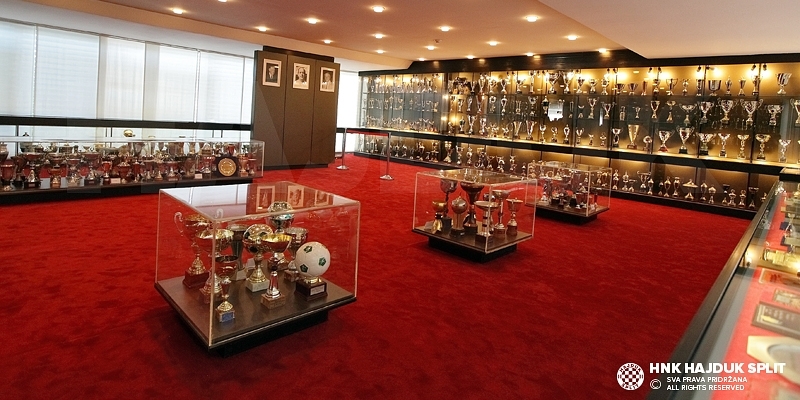 Our youngest visitors are impressed by the number of Hajduk's exhibits in our Trophy halls as there are as many as 1531 of them (1311 trophies, 337 medals and awards, 325 different gifts, in total 1973, out of which 1531 are exposed to visitors) plus 200 photos from the club's great history. In average, the guided tour takes from 30 to 45 minutes and your guide will tell you the story of Hajduk in Croatian, English and Italian language. Apart from school groups, the stadium is also open for individual visits daily. If you wish to find out more or book your tour, please send an e-mail to [email protected] or contact our guide at +385 99 2552 160. The guided tour rates are 35 HRK for adults and 20 HRK for children (age 6-12). We also offer a group discount (over 15 people). Tours are available every day from 10 am to 7 pm. Meeting point is at fan shop at the stadium, and tours are starting each half of an hour.